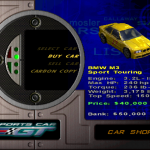 While Sony and Polyphony were pushing the racing video game genre to a whole new level with Gran Turismo, Electronic Arts was trying to get a piece of the action with Sports Car GT. 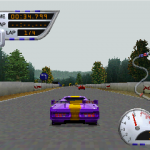 Released for both PC and the original Playstation, Sports Car GT takes a little bit of EA’s Need for Speed and gears it more toward Gran Turismo territory. 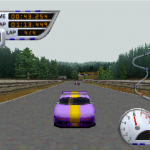 Even though I would personally say they didn’t quite pull it off, I would also say they did create a fairly good racing game that kept me busy for so many hours when I was younger. 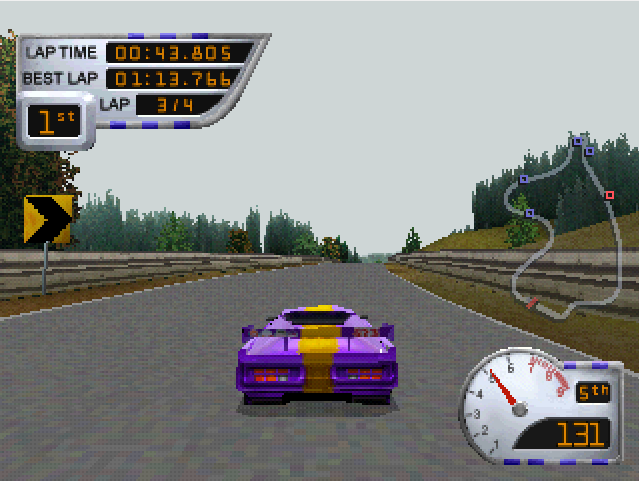 Sports Car GT offers the player three main gameplay options: Season, Arcade and Time Trial. 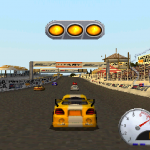 In Arcade the player can pick from any of the currently unlocked cars and tracks to engage in a one-off race against CPU opponents, with selectable opponent strength of any other available GT Class. 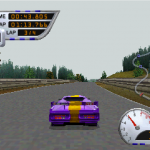 Time Trial allows the player to hone their skills with the cars they currently own in Season mode and shave down those times on any given track. 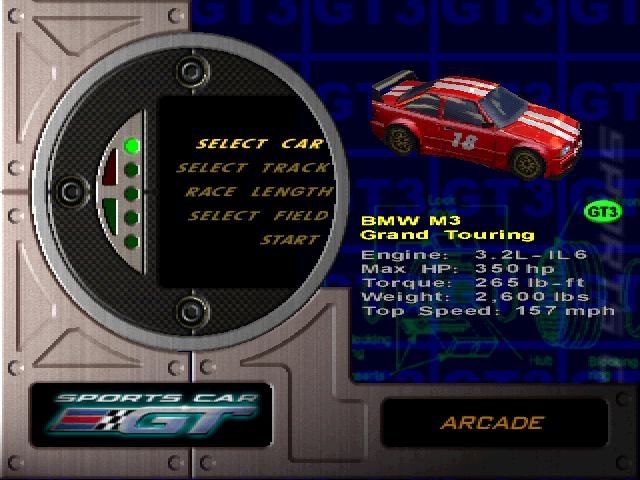 Season mode is the main draw to the game, where the player has to work their way up through four GT classes. The player will start out in the GT qualifying class and progress through the GT3, GT2 and GT1 classes as well. 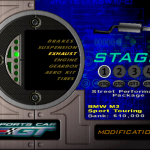 An initial $50,000 will be given to the player to purchase and modify your first car; finishing third or higher in each given race will give the player additional money for more upgrades or additional cars. 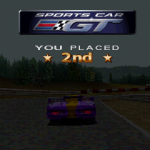 If you’ve done well enough during each given class the option of an additional race will become available to unlock and win a new car as well as an additional cash prize. Sure, it may sound exciting to be able to upgrade vehicles, but the execution is very simplistic. 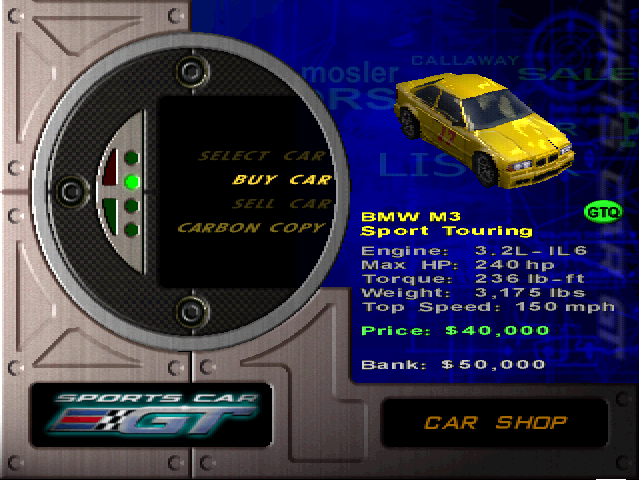 The player simply goes into the store menu and purchases one of the available components to upgrade: brakes, suspension, exhaust, engine, gearbox, aero kit or tires. 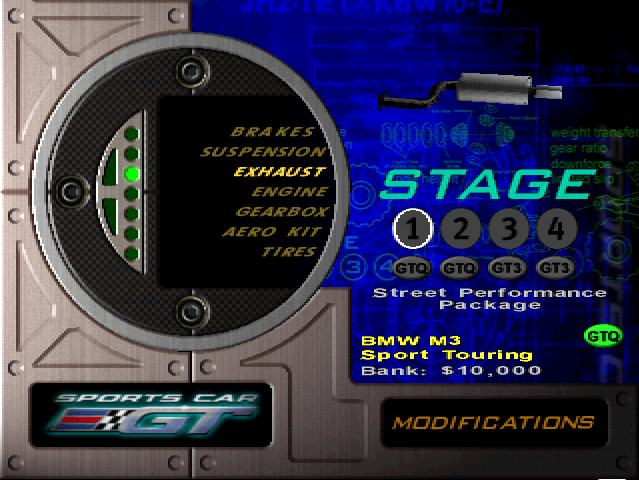 Once parts are purchased, the player may also adjust some of the parts to fine tune their car to their personal liking. Adjustments are limited to strictly parts that are essential for racing such as: brakes, suspension, ride height, transmission, gearbox, downforce and tires for a handful of situations. 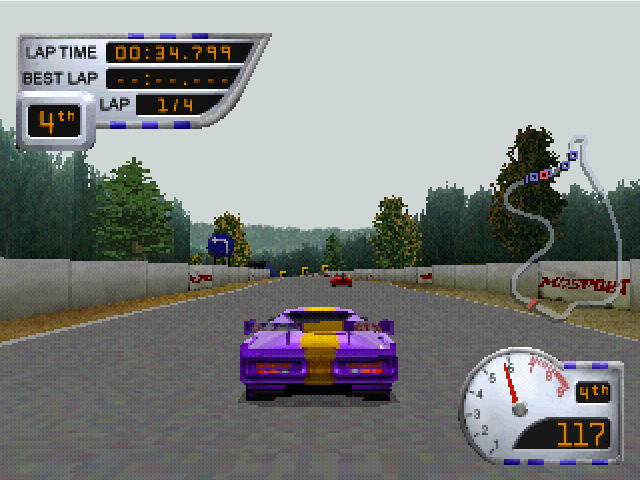 Races take place across a few different tracks, with more being unlockable throughout Season mode, all of them being real life tracks such as Seabring, Road Atlanta and Laguna Seca; most of these tracks are now staples in simulation style racing games. 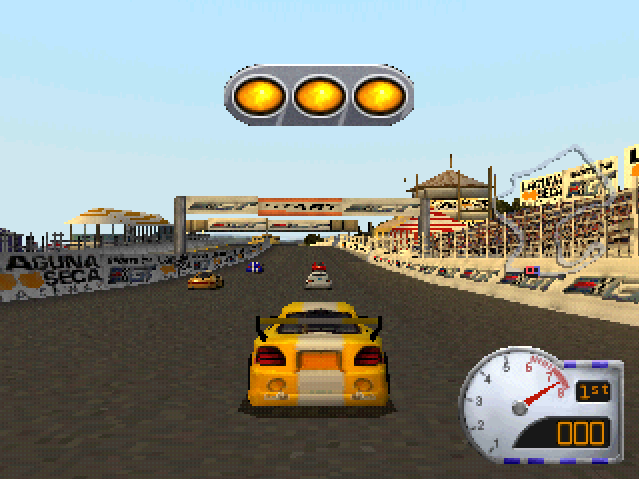 At the beginning only the base tracks are available, with variants becoming unlocked as you progress through the game with options such as reverse courses, night time racing or racing in the rain. The handling of the cars is fair, if a bit sticky, as long as you stay on the track. Crashing into anything isn’t much of an event as it just kind of sticks you into place and becomes slightly annoying to get back onto the track. If you have a good enough car the CPU opponents won’t be much of a challenge, which some may see as a flaw and some may see as an easy way to win. Although the back of the game says 40 cars and teams included, I can only unlock 20 cars and most of them are just color variants of the same car. I’m not sure whether I’m missing something, but this is my old, original save from 1999, and I remember fondly beating the game completely so I just feel cheated. 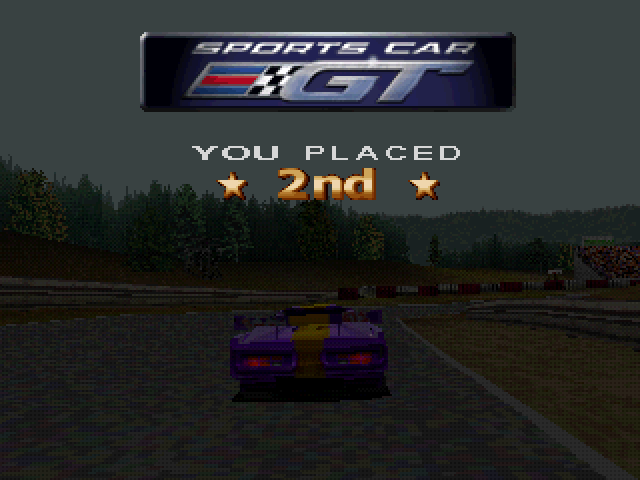 Again, Sports Car GT isn’t Gran Turismo strong, but I did have quite a lot of fun with it as a kid. 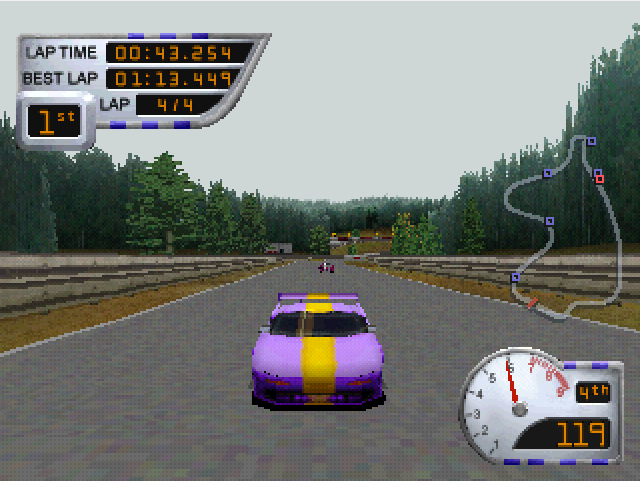 Throughout the years the handling has become a bit wonky, the graphics are still fairly decent and to play a fresh save brought back memories. 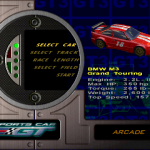 If you’re looking for a deep racing simulator you’re not going to be happy, but if you’re looking for a pick up and play GT car racing game with an arcade feel and upgradeable parts, Sports Car GT may just be what you’re looking for.